If this pokemon would be K.O by a attack of your opponent,your opponent is now Poisoned and you survive with 20hp. Flip a coin. If heads, the Defending Pokémon is now Poisoned and Burned. 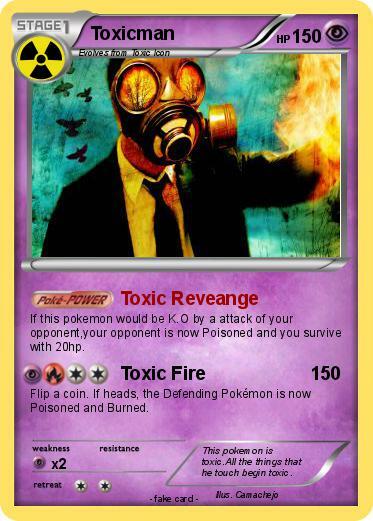 Comments : This pokemon is toxic.All the things that he touch begin toxic.